Saas Fee, which has re-opened for snow sports, received the same amount of new snow on the same day, and is reporting snow depth on the glacier at three metres (ten feet). In Austria the Kitzsteinhorn glacier above Kaprun has reported 4cm (two inches) of new snow in the past 24 hours, it has a three metre (ten foot) base and temperatures are around -2C at the summit. 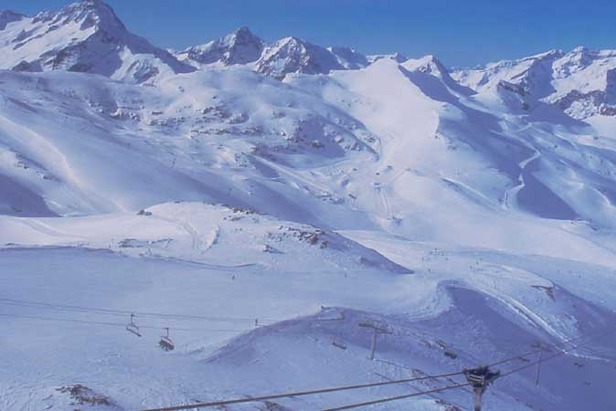 The Molltal glacier is also open for skiing near Flattach with 9km (six miles) of runs served by three lifts which operate between 9 and 4pm - later in the day than most alpine glacier ski areas. It has a 330cm (11 foot) snow base but hasn't reported any fresh powder. A small ski area on the Dachstein glacier near Schladming is a third Austrian option. The Tux glacier, which along with Zermatt is one of two in the world that is still open virtually 365 days a year (subject to weather conditions and maintenance closures) , currently has one of the biggest ski areas open anywhere with 23km (nearly 15 miles) of slopes swerved by nine lifts, accessing a near 600m vertical between 2660m and 3250m - not bad for July!